Emergency car key services are needed for many reasons. For instance; if you broke or lost the key to your vehicle during a trip or shopping. When this happens, you may want emergency car key services. In addition, there are other reasons why you may need an emergency and mobile car key services. Another example is you have the original key in your hand, but it suddenly doesn’t start your car. In this case, you need an automotive locksmith who has an advanced diagnostic tool. An advanced diagnostic tool is a machine we connect to your vehicle OBD plug. This means we can diagnose the issue with your key. With this in mind, it’s important to remember we are here ready for your call in all time. We’re available 24 hours a day, year’ round. Our car key locksmiths are mobile and can reach your location wherever you are, whether in Allentown, Bethlehem, or Easton, PA. Sometimes, not only the key break in the lock but the broken key shank can be stuck deep inside the lock cylinder. This includes also breaking inside your car ignition lock. Despite the fact that you didn’t do anything wrong, a tiny crack on the key’s shank is enough to break your car key in two pieces. When this happens to you, we recommend not to try and extract your broken car key by yourself. You can simply push the broken piece further inside the cylinder and damage your lock. Instead of risking further damage to your lock, please call one of our professional auto locksmiths, at LockTech24/7 to assist you at your location. With this intention, we carry several professional key extraction kits in order to extract your key safely. You can never expect to lose your car key. For this reason, you may need emergency car key services to provide you with a new transponder chip key or a key fob that is programmed to your vehicle. In order to avoid losing your car key, we recommend you to put your car key on a spiral plastic keychain or lanyard keychain. However, in a case you lost your only car key, we’re able to help. We can cut a new car key by code that fits your vehicle only, as well as programming a car key to the computer of your car. With an intention to help you on the spot, we carry a large inventory of car keys and key fobs for many car brand and models. If you lost your car key and you don’t know what to do, don’t panic! This is not a major problem because have you covered! Call us as soon as possible and we will be there for you within 20 minutes. 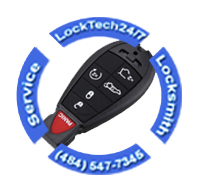 Emergency car key services are LockTech24/7, so don’t hesitate to call us now. Sometimes, an old transponder car key can fail to start your vehicle. Inside the “head” of a transponder car key, there is a tiny electronic computer chip. A computer chip sends signals to the computer in your car while the computer return signals. 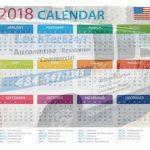 When the key is programmed to your vehicle, the computer recognizes it and release all the systems of your vehicle for operation. It’s enough a tiny crack on the head of your key, liquid or humidity gets inside and damages the computer chip. This problem can happen especially with key fobs and remotes. Therefore, we recommend keeping your key fob dry as you can. There are many other reasons why a key stops starting a car. We have the tools and the machines to diagnose the issue and to find out why your key doesn’t start your car. In case and the computer chip is corrupted, we will be able to replace it on the spot. In many cases, a car key doesn’t turn the ignition switch because it’s too worn. The cuts on your key shank are no longer fit the wafers inside your ignition lock. In this case, we can cut an inexpensive car key to troubleshooting the ignition lock before cutting a transponder chip key. If this solves the issue, we can cut and program a new transponder key to start your car. In other cases, the ignition lock of your car is simply got bad and stuck. When this happens, we need to repair or replace your car ignition switch. Call us if you stuck on the road! 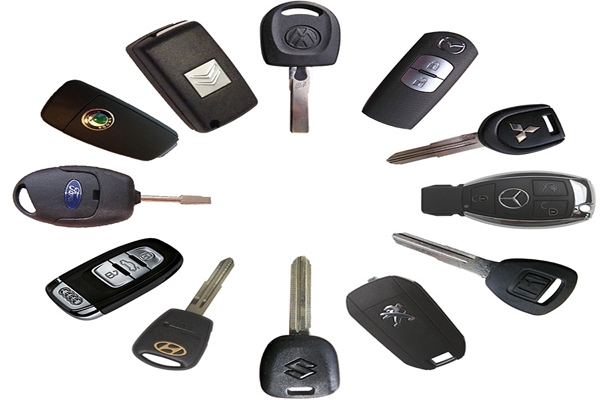 We will be happy to assist you anytime you may need a professional, mobile, and emergency car key services.